Why Logan Gets Our Best Movie of 2017 Award | Nerd Much? 2017 has been a stellar year for movie lovers of all kinds. The sheer quality on display this year is stunning, as many titles polished, defined, or redefined our perception of various, popular genres. From big budget blockbusters to small indie films, there has been something for nearly everyone. This made narrowing down our pick for the official Nerd Much? Movie of the Year incredibly difficult, especially with several big films releasing in December alone. However, we braved the cinematic trenches and have emerged with a runner-up and Nerd Much’s best movie of 2017. When deciding upon our choice we factored in every aspect of the movie including production, story, casting, acting, editing, and cinematography. There were a lot of films that were great this year, so here are some quick honorable mentions. Our runner-up for the year was director Jordan Peele’s debut film, Get Out. Like a bolt of lightning out of a clear blue sky, Get Out was a smart, stylized movie that helped breathe fresh air into a stagnant genre. If you are going to watch any horror movie from 2017, make sure it’s this one. Here’s our full review. There have been a lot of superhero movies that released over the past few years, but many don’t aim to push the genre in new directions. With every superhero movie falling into a cycle of endless hype, it’s rare that these films ever truly defy expectations. 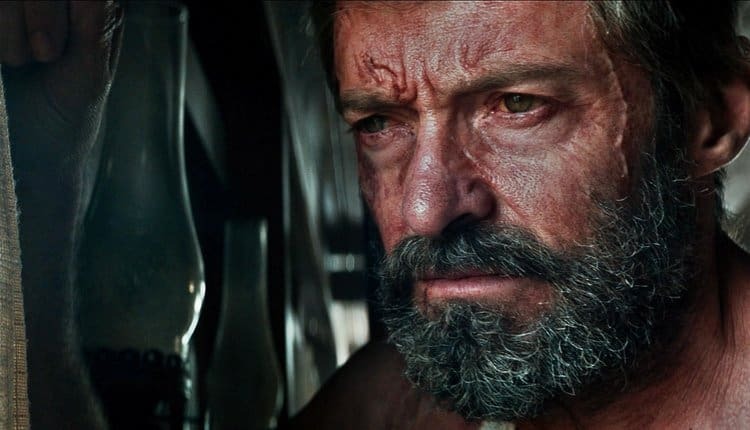 Then came Logan, a film that redefined the genre and served as one of the best superhero films ever produced. Directed by James Mangold, Logan takes place years after the events of the previous X-Men films. The legend of the Wolverine (Hugh Jackman) has faded and most of the remaining mutants have either gone into hiding or died off. Gone are the flashy colors and in its place is a film that feels more like a post-apocalyptic movie than a superhero one. This is to Logan’s benefit as it not only allows the cinematography to really standout but keeps the film from hitting the same familiar story moments. Unlike the rest of the movies this year, Logan is a film that will act as a touchstone for the entire genre. Not since The Dark Knight has a superhero film delivered such a compelling story and characters to invest ourselves in. Logan has grown bitter and ultimately resentful of everything that happened with the X-Men. Instead of a refusal to move on, he has outright stripped away the flashy, heroic veneer that the previous films embraced. This mutant is not a hero anymore, just an old man wanting to be left alone. That’s a bold direction to take any superhero, but thanks to Hugh Jackman’s legendary performance as the Wolverine every moment is filled with emotional weight. His interactions with Charles Xavier (Patrick Stewart) are both heartwarming and sad, while the relationship between him and the young mutant Laura (Dafne Keen) are engaging. You genuinely feel for these characters and want them to succeed at every challenge placed before them. Yet, this is also a film about accepting failure and moving on. However, Mangold’s wonderful direction never lets these themes drag the film down or place too much emotional baggage on the audience. It’s a fine line to walk and Logan traverses it perfectly. We also get some great supporting performances from Stephen Merchant as the mutant Caliban and Boyd Holbrook’s criminally underrated performance as the antagonist Pierce. All of this is wrapped up in an R rating, which gives the movie needed breathing room and removes the restrictions previous Wolverine movies suffered from. Plus, we finally get to see the bloody and brutal violence that Wolverine is known for. This a movie that from top to bottom delivers everything it promised and more. If this truly is the last time we ever see Jackman – or the Wolverine in general – it will be a fitting end to one of the most iconic superheroes of all time. Simply put, this is why Logan is the best movie of the year.